Nice tour behind the Sylvenstein around. Scenic class. A trip there is always worthwhile. 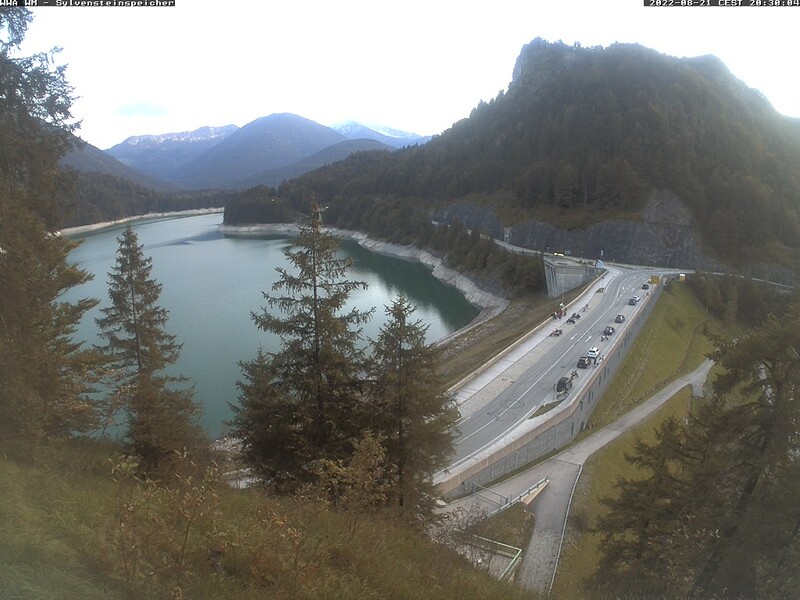 wwa-webcams.de/wm/s-sylvenstein/s-sylvenstein.jpgThe Sylvensteinsee as a water reservoir in the Karwendel. In Karwendel many springs and streams gush. A large part of the water comes together in the Sylvensteinsee. The Isar is the most prominent river with origin in the Karwendelgebirge and flows into the Sylvensteinspeicher into it - together with the rather unknown Dürrach and Walchen. and makes her way towards Munich. If the Sylvensteinsee appeals to you, you will also like the Isar origin. <- TipBy bike to the Isar origin? This is how many people do it: Most visitors to the Hinterautal Valley are on two wheels on the way to the Isar origin. This one can drive very well with the e-bike due to the gentle slope. Ideal is a trekking bike (with enough gears) or a mountain bike.